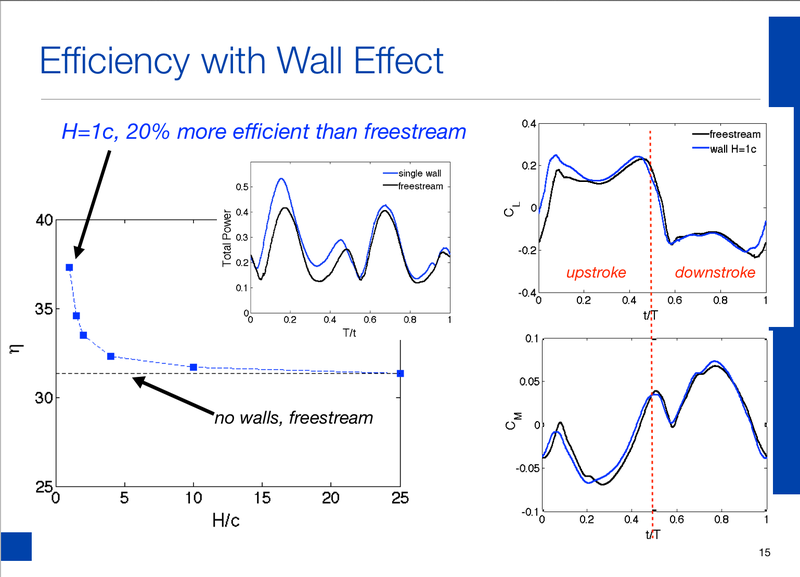 An oscillating hydrofoil in freestream flow is computationally investigated for the application of a novel hydrokinetic energy device. The hydrofoil is prescribed a rigid body sinusoidal motion in pitch and heave, with the maximum efficiency occurring with a heave amplitude of 0.5 chord lengths, pitch amplitude of 75 degrees, a non-dimensional frequency of 0.15, and a phase difference of 90 degrees between pitch and heave. 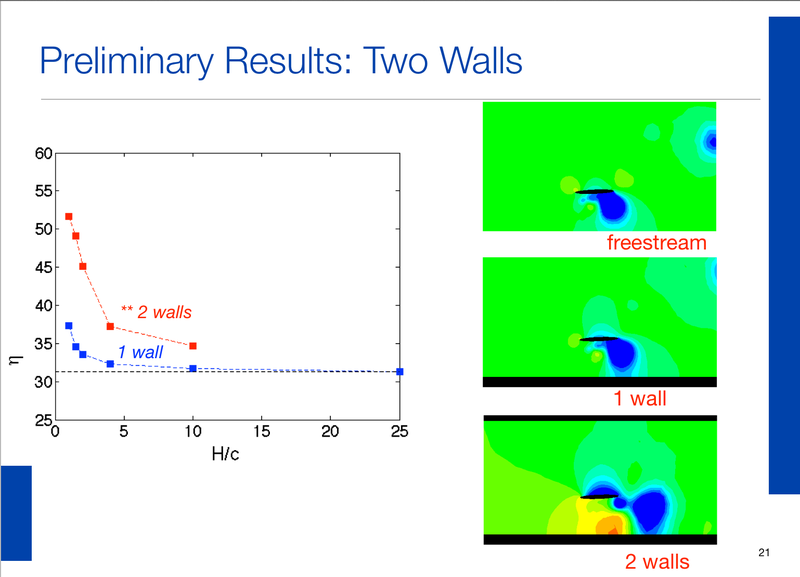 Simulations are performed using 2D direct numerical simulation with a moving mesh algorithm and compared to particle image velocimetry results of Strom et. al 2014 and previous computational results of Frank and Franck 2013. 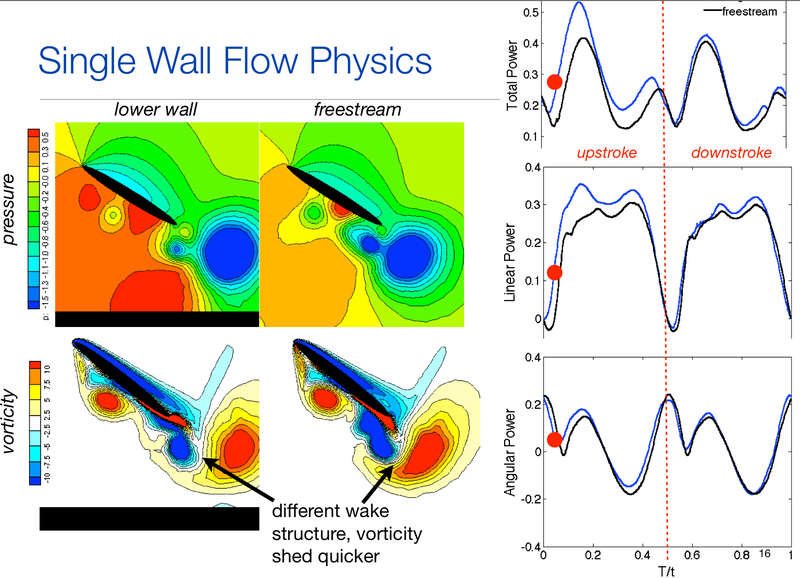 The high pitch angle during mid-downstroke and upstroke generates large coherent vortices that enhance the power generated from linear translation, yet remain on the wing during stroke reversal to also generate power from the angular motion. 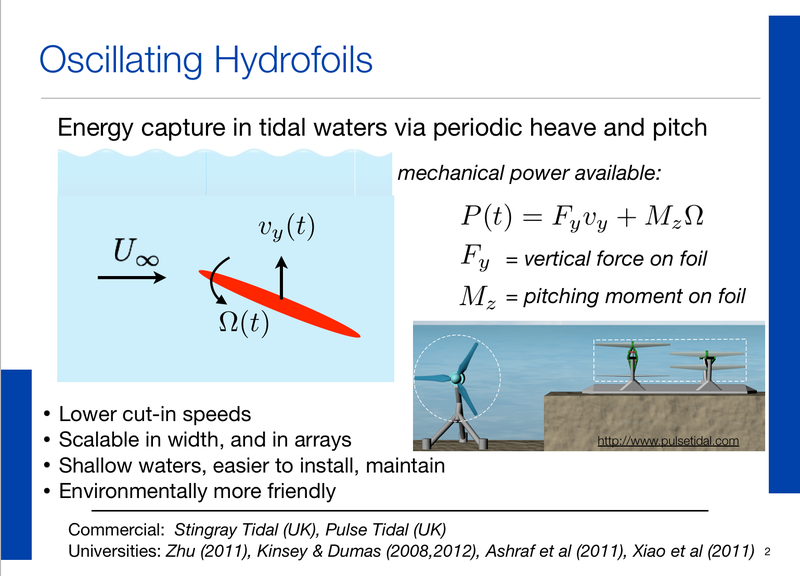 In order to assess the hydrofoil’s performance in shallow tidal zones, a lower wall boundary is introduced into the simulation to investigate the ground effect on the unsteady vortex shedding and power generation. 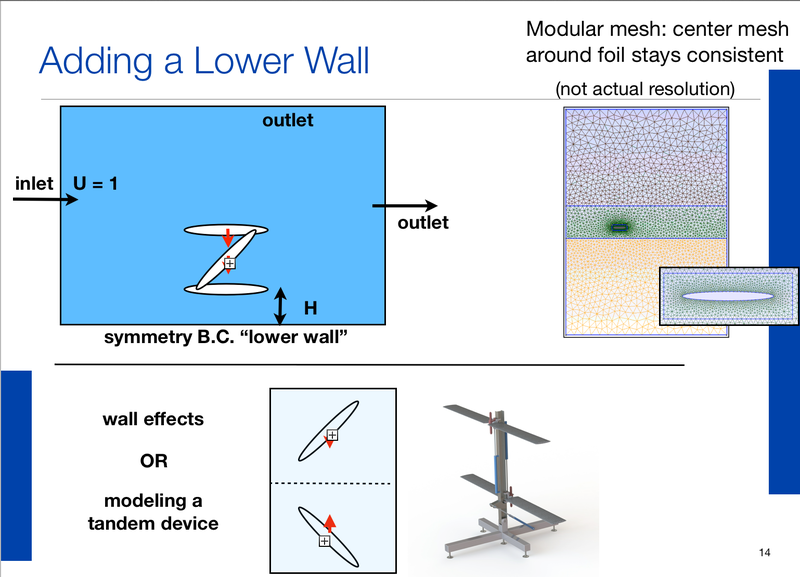 This entry was posted in Engineering Projects, Publications and tagged Brown University, CFD, Computational, dynamic mesh. Bookmark the permalink.